This ultra-strong, heavy-duty insect screen by Everbilt is the perfect solution for households with animals and areas exposed to high-traffic. This vinyl-coated, polyester reinforced pet screen is tear-resistant and provides extra protection against pet damage. 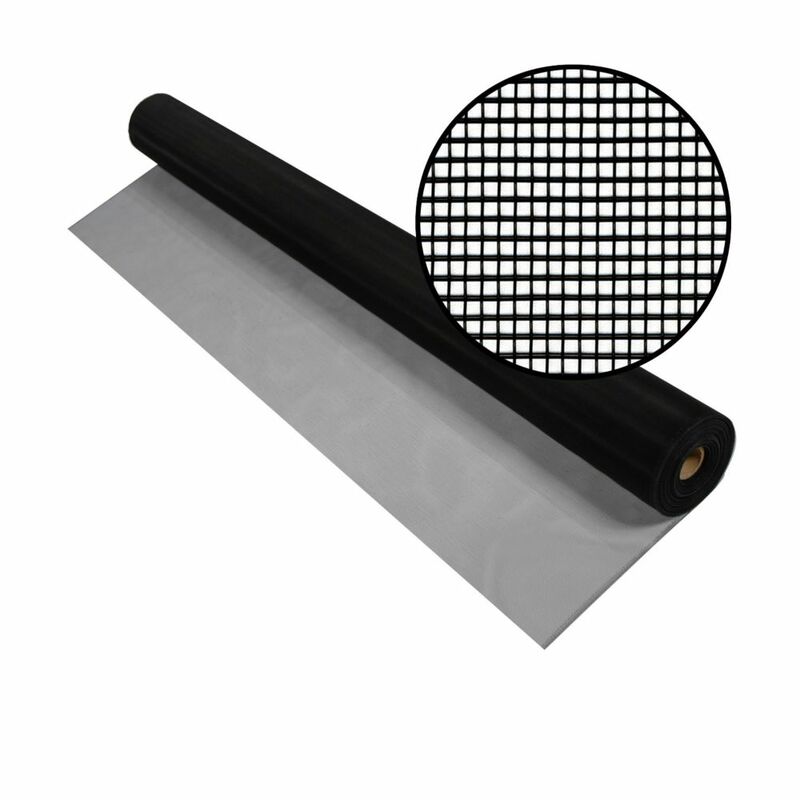 Phifer SeeVue insect screen is woven from fine black stainless steel wire which greatly improves visibility and strength. This screen offers superior airflow and insect protection. SeeVue is practically invisible providing excellent curb appeal. 48-inch x 100 ft. Black Aluminum Screen Protecting people from annoying and often disease-carrying insects, Phifer's Aluminum Screen sets the standard for the screening industry's level of quality and dependability with the production of a precision woven and uniform coated screen mesh. Phifer has been supplying aluminum insect screening to the United States and the world for over a half century. Aluminum screening is suitable for all window, door and porch applications and is available in three colour finishes. 48-inch x 100 ft. Black Aluminum Screen is rated 4.5 out of 5 by 27. Rated 5 out of 5 by CS21 from Worked great Easy to work with...still need to be very... Worked great Easy to work with...still need to be very careful not to kink. Rated 5 out of 5 by Pepper from Wonderful product. Gives privacy from outside view yet is almost invisible from the inside! Str... Wonderful product. Gives privacy from outside view yet is almost invisible from the inside! Strong against "outside dog vs inside cat" situation which came up unexpectedly. Helps to keep it cooler inside in the hot summer. Easy to install. Put in place two weeks ago. Kitty tried to climb up and it resisted any tears from her claws - MOST important for me! Rated 5 out of 5 by Marsha from The screen was excellent .... The screen was excellent . Rated 5 out of 5 by Paul from Almost invisible. I used it to replace screen on a... Almost invisible. I used it to replace screen on a porch which was 20 years old. Very good replacement!